While dental emergencies are rare, toothaches do occur. We want to hear from you and begin treatment as soon as possible. Our telephones are answered day and night and all emergencies will be treated as soon as we are notified. 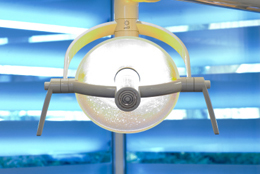 We understand patient fears and go out of our way to ensure dental visits are not traumatic, but are very comfortable. Some emergencies can be avoided by focusing on taking care of needed dental work as soon as possible. Even cavities continue to get larger and many times reach the nerve of the tooth, requiring a root canal or other extensive treatment.